Planners can be so boring! But they don’t have to be. 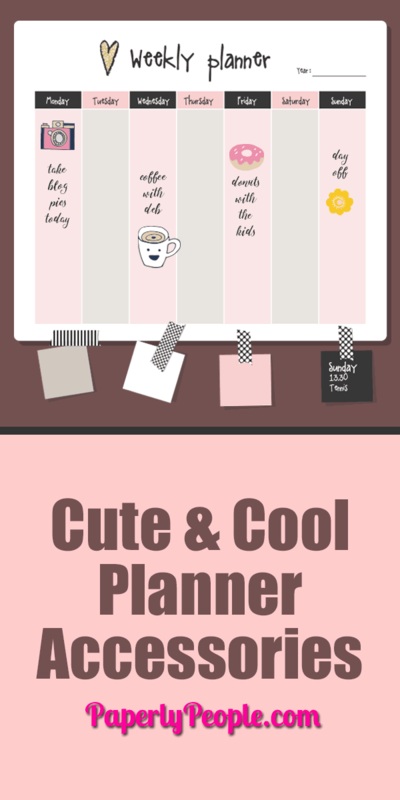 There are so many cute ways to jazz them up and cool ways to keep your interest. Here are a few of my ways to use pens, highlighters, washi tape, etc! 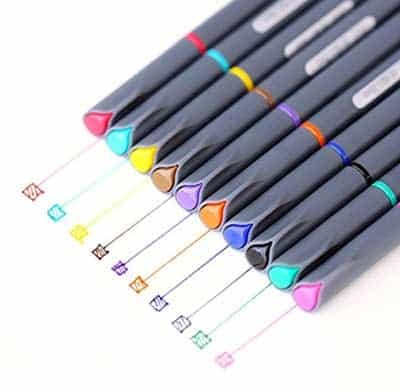 Make your planner pop with color using colored pens. Use one color for each person in the family or to show things that are higher priority than others. Don’t skimp! 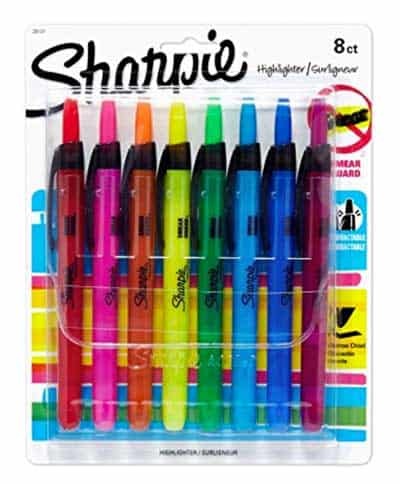 Get lots of colors and fine tips for the smaller blocks to write in. 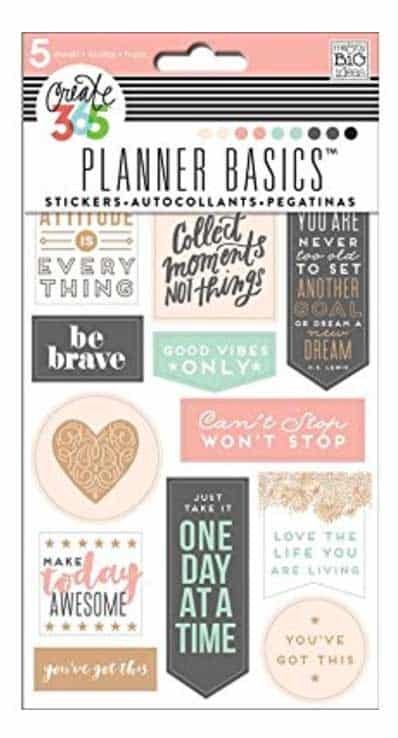 These are great if you are doing bullet journalling, but want to add a bit of color without going all “planner crazy”. I like writing all in black or blue ink (I go back and forth on this one) but also like to be able to visually see what I have been up to! With this in mind I highlight my tasks and appointments AFTER they are completed with the correct color. I do this so I can check my weeks and easily see visually how I have spent my time. When I started doing this I often had days that looked like the fruit striped gum zebra. I would do admin, then writing, then personal then training without any rhyme or reason. Just by time blocking and doing big chunks of the same things at the same time I got more done in less time. These are the ones that I personally use. They have a cool plastic case that holds them and makes it easy for them to be carried around. The thing I like the best is that they are retractable rather than having a cap so I don’t have to worry about losing it! 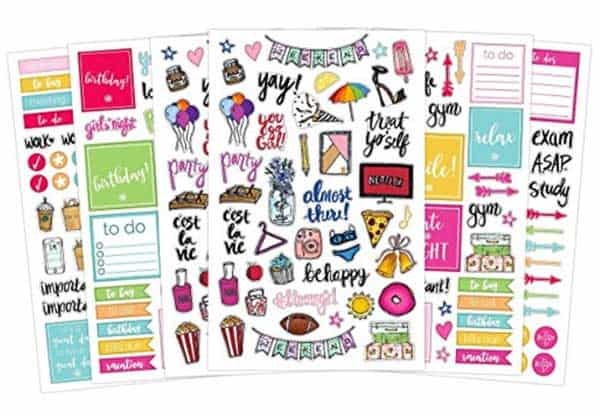 Reminder stickers like “To Do,” “To Call,” “To Buy,” “Important,” “Meeting,” “Bills Due,” and “Vacation”, fill in the blank banners and to do lists sized to fit the planner squares of all those cute planners! If you like a more sophisticated style for reminder tags and blocks something like this will work! I personally love affirmations and seeing these stuck around my planner just makes me smile and gives me a boost to get more things done. For me planning is what makes my life work the right way. If I haven’t put all the things down in my planner, functionally I just flail around and get nothing done. You could also try cute stickers to give you an “at a glance” idea of what you have going on. Instead of writing “get the car serviced” stick a sticker with an engine on it on the page. Small enough to give you room to add any necessary notes, but big enough to remind you with one look of what you have to get done. 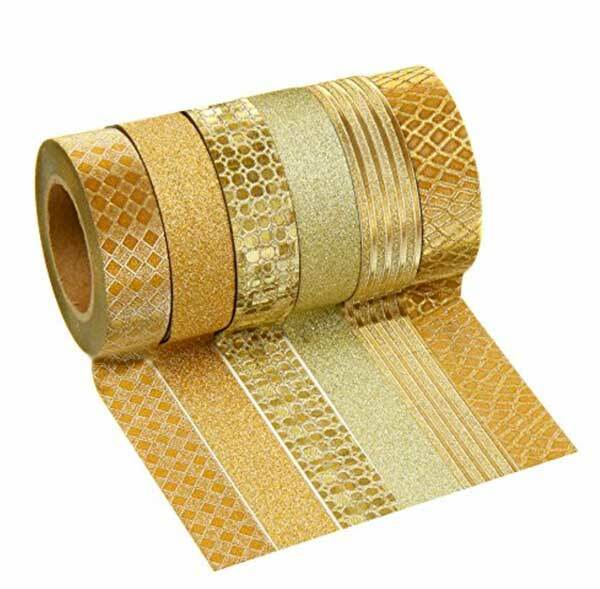 Last but certainly not least is my favorite… washi tape! Put washi tape around the edges of planner pages I use often so I can find them easily when I am flipping through. I put green on pages relating to money, etc. 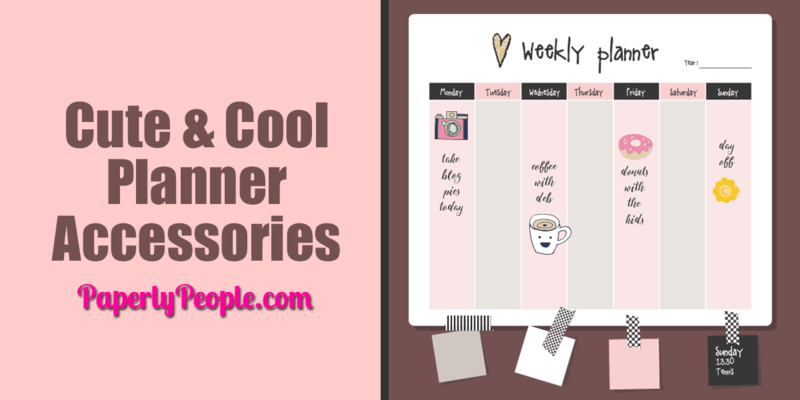 I put it inside planner pages to frivolously make it more creative and happy! That is okay too!